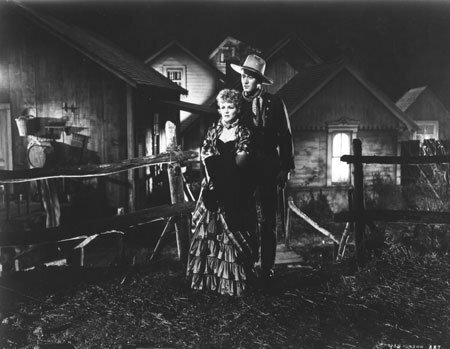 The strange lady is Dr. Julia Winslow Garth (a very red-haired Greer Garson, 51 and playing twenty years younger quite convincingly in the only western of her career), and the town is Santa Fe in 1880. 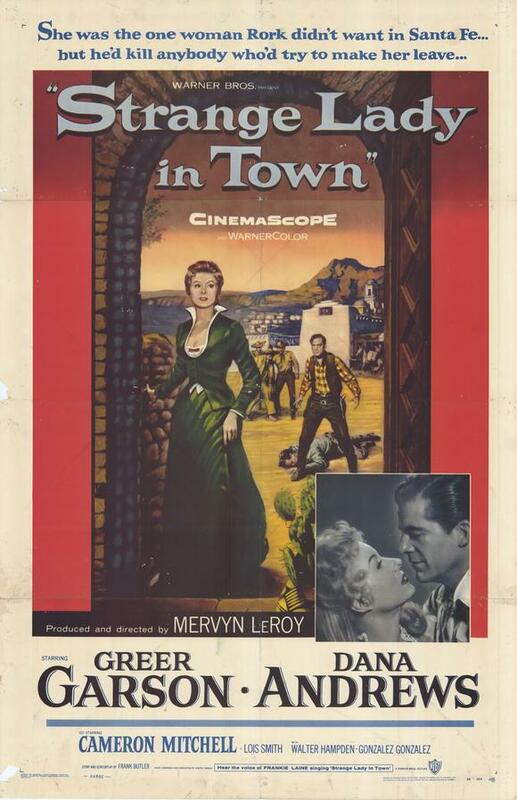 Originally from Boston, she has come to Santa Fe to escape the oppression of the overwhelmingly male establishment in the medical profession, only to find it present in her western refuge in the person of widower and rancher Dr. Rourke O’Brien (Dana Andrews). She lives with her brother, Lt. David Garth (Cameron Mitchell), who seems to have considerable personal charm along with an unfortunate predilection for cards and the shadier side of the law. 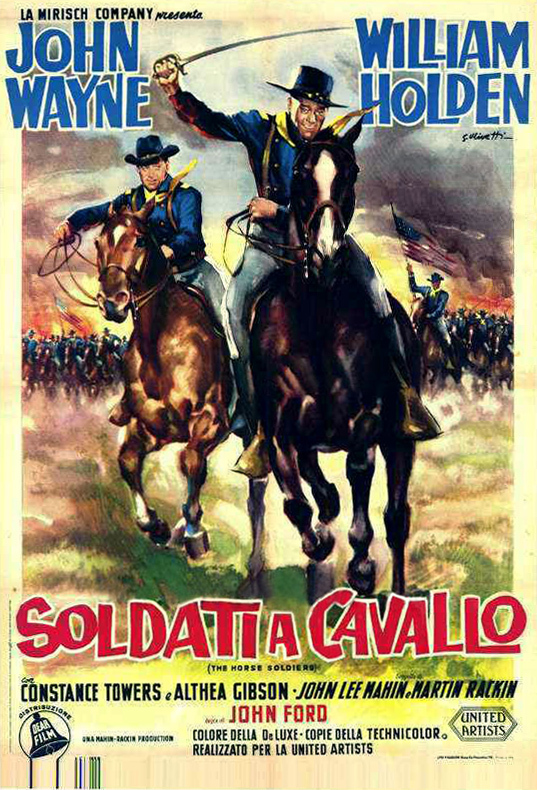 When Julia shows up, Lt. Garth is unable to meet her because he is the subject of a court of inquiry for selling the army stolen cattle. 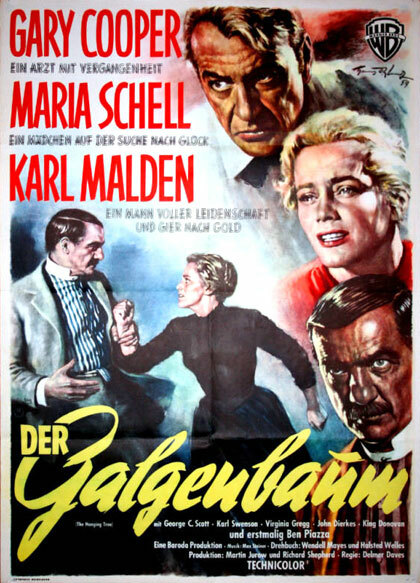 Julia’s home in Santa Fe is next door to the Catholic church run by Father Gabriel Mendoza (Walter Hampden), a saintly priest who also runs a hospital on the side, presided over medically by O’Brien. 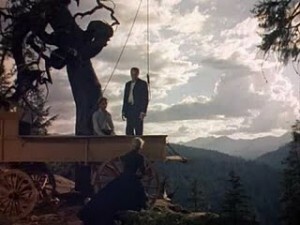 Julia establishes her medical bona fides by healing a blind Mexican boy and others, although she runs afoul of the brusque O’Brien by espousing the modern methods of Dr. Joseph (referred to for some reason as Jacob) Lister, which O’Brien views as a passing fad. Meanwhile, it becomes clear that O’Brien’s tomboyish daughter Spurs (Lois Smith) is attracted to Julia’s brother. The two doctors, talking things over. 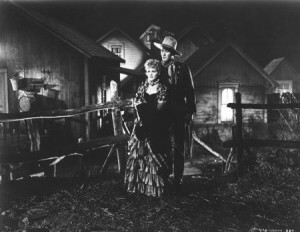 Although they are at odds professionally, O’Brien is attracted to Julia personally, trying to get her to agree to marry him. But they keep falling out over O’Brien’s overbearing and authoritarian ways. 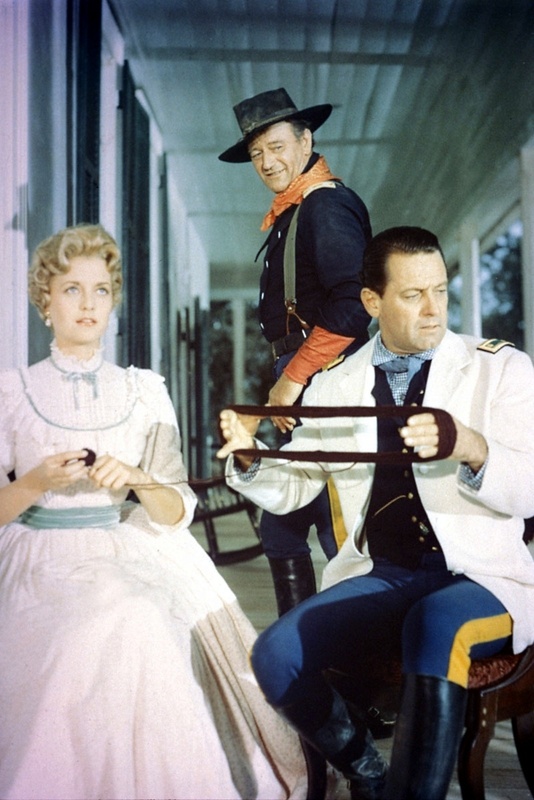 At the governor’s ball, Julia rescues the territorial governor Lew Wallace from his too-tight celluloid collars, although O’Brien has already advised him that the trouble is his weak heart. Meanwhile, Lt. Garth falls out with his captain over cards and punches him, forcing Garth to flee to avoid another court martial. He joins a bunch of outlaw acquaintances in robbing the local bank, and Father Gabriel is killed when the gang’s escape goes awry. 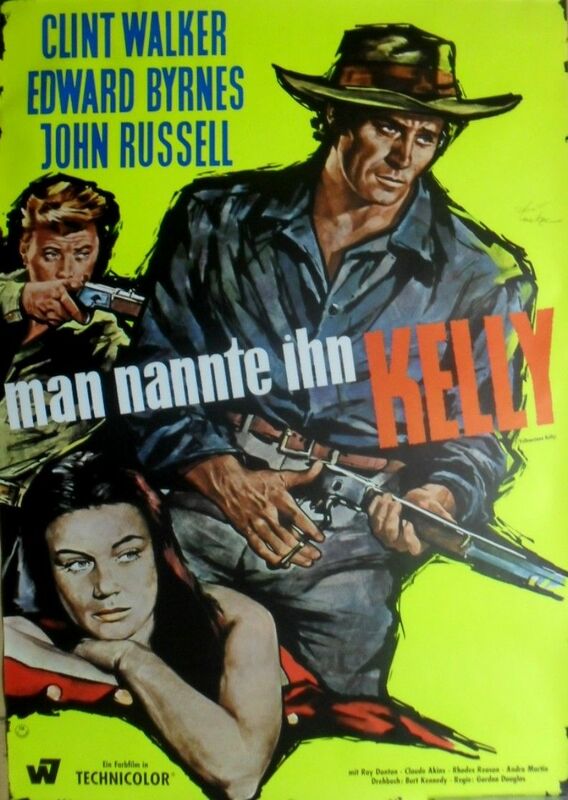 Finally Julia persuades her brother to surrender, but in doing so he makes as if to escape and is shot down. 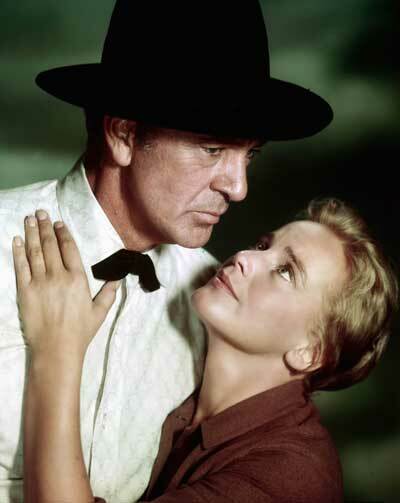 The resulting condemnation of her by the close-minded community convinces Julia she must now leave, until O’Brien stands up for her and finally persuades her to marry him. 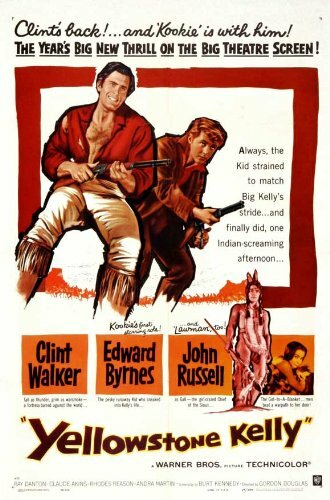 In addition to the the historical New Mexico governor, 19-year-old Billy the Kid makes a brief appearance (Nick Adams in a cameo), theoretically making this 1879 or so. 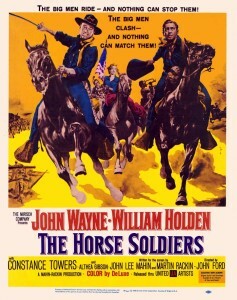 In all, this is more watchable than you’d think for a movie you’ve never heard of. 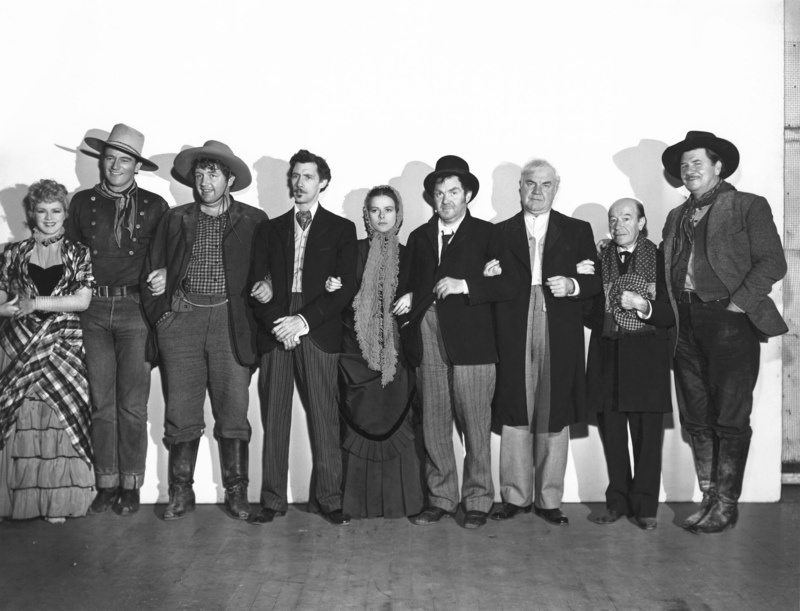 Garson, Andrews and Mitchell are good in their respective roles; some like Lois Smith as Spurs, while others find her occasionally grating. 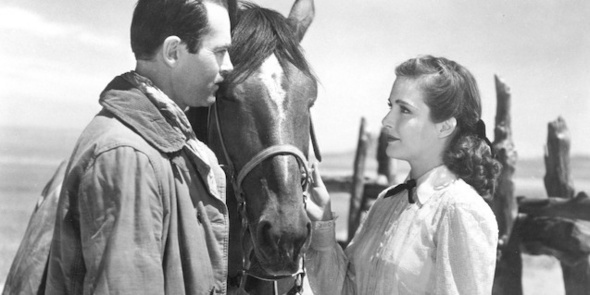 This was part of a trend in the 1950s to have an established actress as the center of a western–the so-called cattle queen westerns, with stars like Barbara Stanwyck, Joan Crawford and Marlene Dietrich. 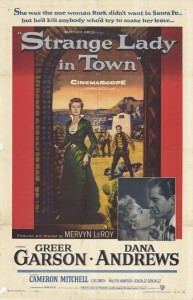 And now Greer Garson. 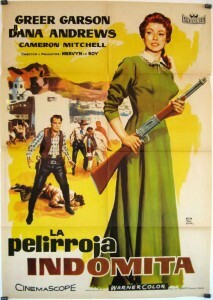 In real life, she and her husband had a ranch a few miles from Santa Fe. 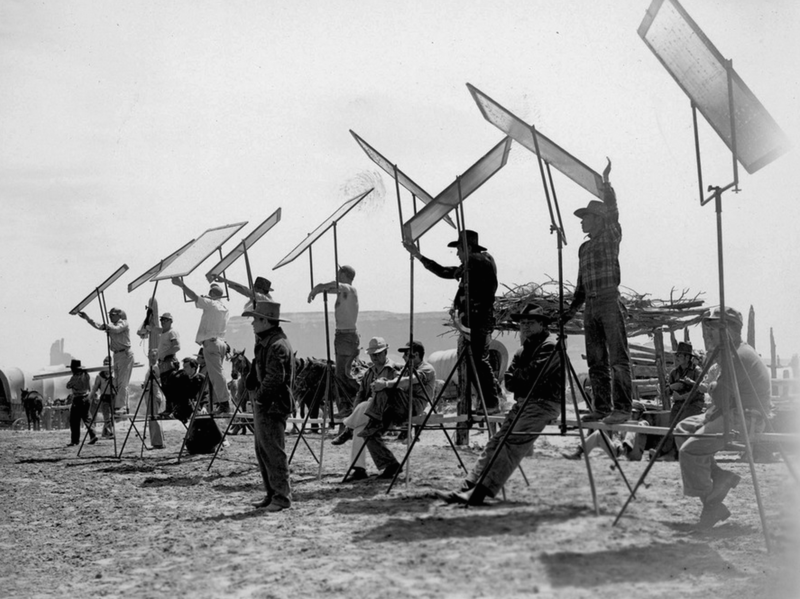 Mervyn LeRoy was not a natural director of westerns. 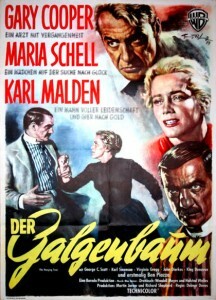 He was much more at home in upscale romances. Frankie Laine provides the title song. In color partially shot in Old Tucson, Arizona. Not a great title. 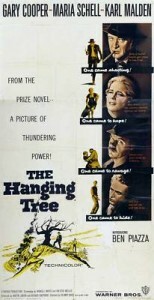 For Dana Andrews in other good westerns, see him as the primary lynching victim in The Ox-Bow Incident (1943), and as an almost-lynching-victim in Three Hours to Kill (1954). 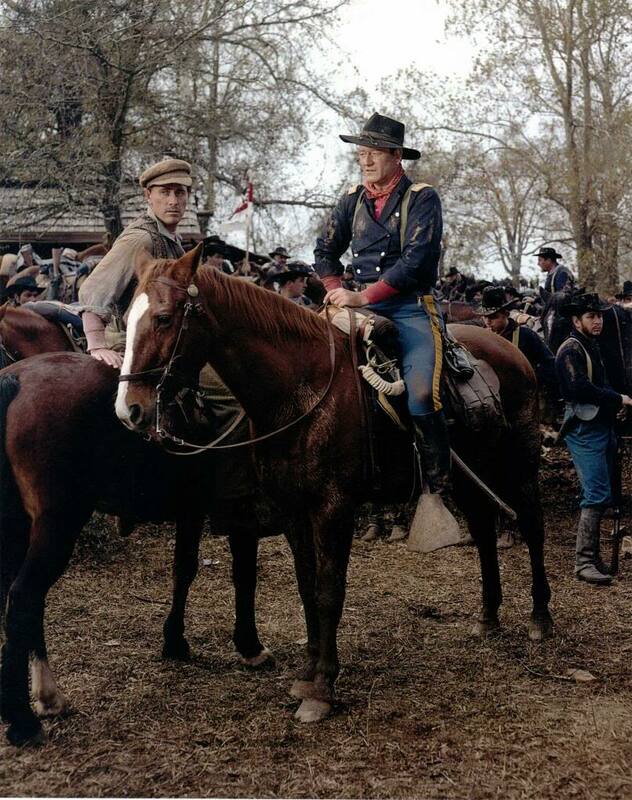 This entry was posted in Westerns Worth Watching and tagged Frontier Doctors on January 17, 2014 by Nicholas Chennault. 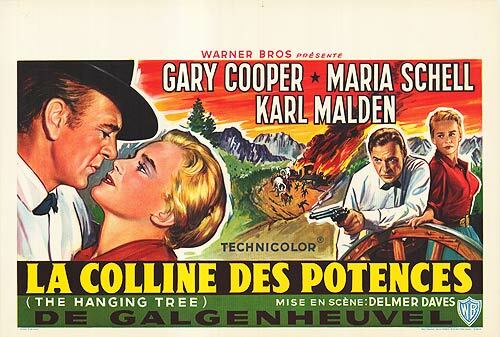 The poster seems to indicate that Wyatt (Randolph Scott) and Sarah (Nancy Gates) may eventually get together, which they never do in the movie. 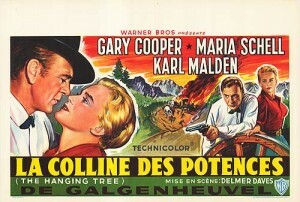 This film is interesting for two external reasons: (1) It catches Randolph Scott in the early flush of his career as a lead in westerns (think Last of the Mohicans, Western Union and Virginia City), and he’s good; and (2) it represents an early attempt at the cinematic legend of Wyatt Earp, one that influenced such better-remembered movies as My Darling Clementine. When this was made, Earp had only been dead for ten years, and there were many still in Hollywood who remembered him. 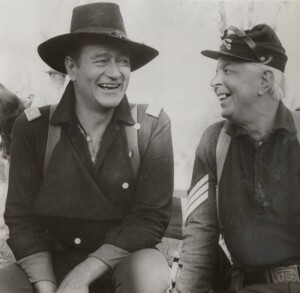 John Ford claimed to have received Wyatt’s rifle as a gift from the old man before his death. Stuart Lake’s (more or less) biographical work on Wyatt was fairly recent; the first movie based on his 1931 book Wyatt Earp: Frontier Marshal was in 1934, and this is better. 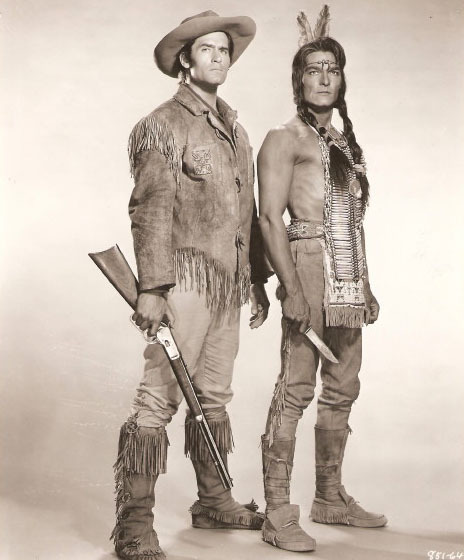 Wyatt Earp (Randolph Scott), the new man in town, corrals Indian Charlie (Charles Stevens). 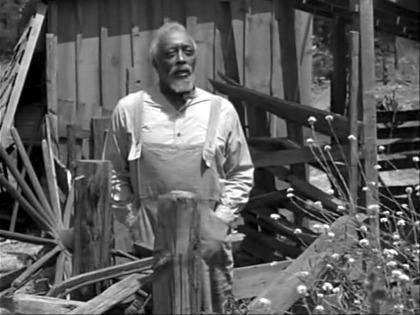 In this version Wyatt shows up in Tombstone alone, without brothers. 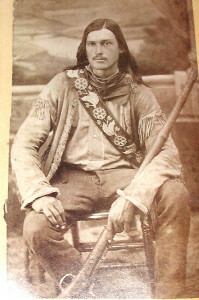 Apparently he has a reputation as an Indian scout for Nelson A. 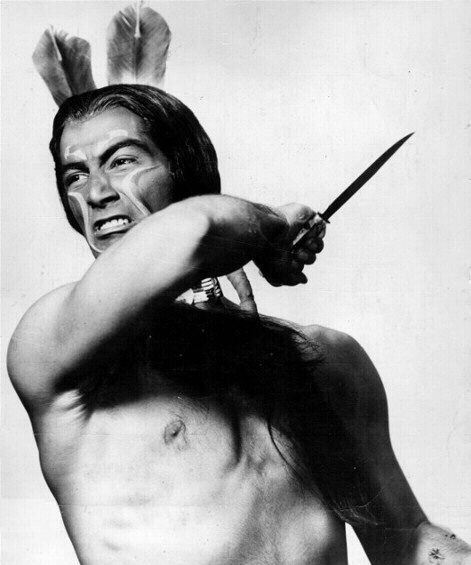 Miles (the historical Wyatt did no Indian scouting for the Army, for Nelson Miles or anybody else); no mention is made of Dodge City. Much as in the beginning of Clementine, Wyatt takes on a drunken miscreant Indian Charlie when nobody else will, impressing local authorities. 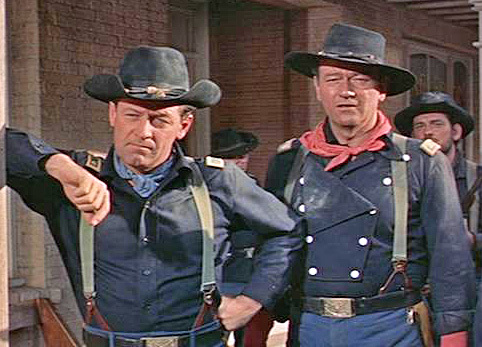 Beaten up by the miscreant’s compatriots led by Curley Bill, Wyatt then takes the badge full time, with battle lines drawn. He meets Doc Halliday [sic] (Cesar Romero), who clearly has a death wish, and they strike up an unlikely friendship, comparing shooting irons at a bar in an unintentionally Freudian scene (much like John Ireland and Montgomery Clift in Red River). Or maybe we’re just too cynical about such things. Doc’s former girl friend Sarah Allen (Nancy Gates), a nurse, shows up to remind him of his past life and loves. He has left all that behind him in order not to saddle her with a dying consumptive. 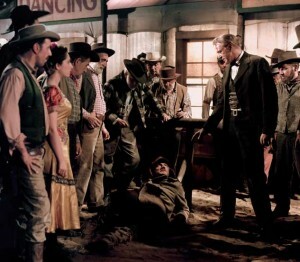 Wyatt thinks Sarah will be good for Doc, but Doc’s current dance hall companion Jerry (Binnie Barnes) is filled with consternation, not to say hostility. 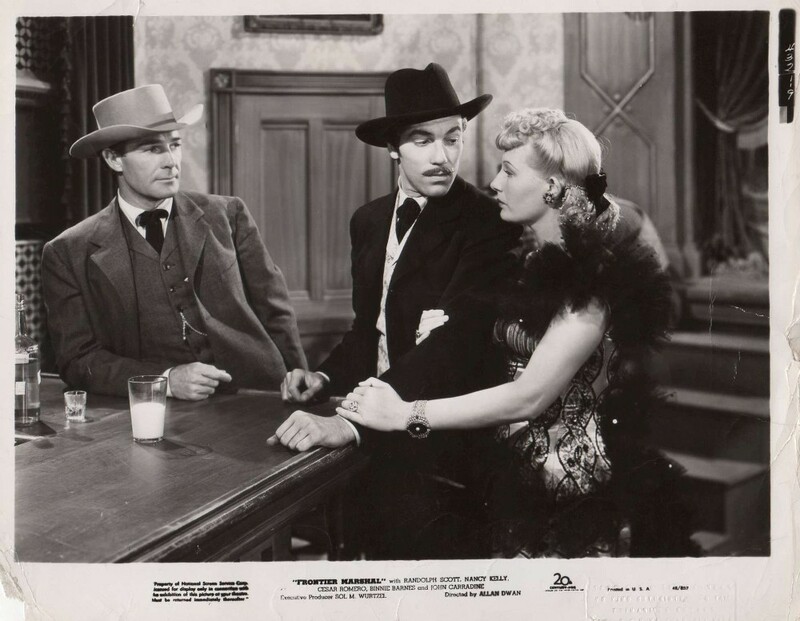 Wyatt (Randolph Scott), Doc (Cesar Romero, drinking milk) and Jerry (Binnie Barnes). 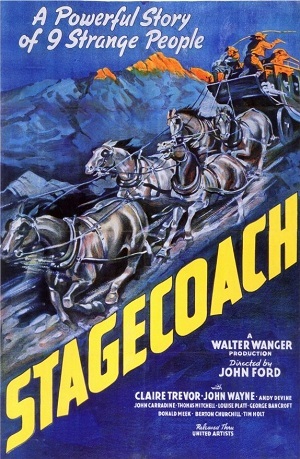 Wyatt and Doc rescue comedian Eddie Foy (played by Eddie Foy, Jr.) when he is kidnapped by a rival saloon, and they find themselves on a stage carrying gold and silver that is about to be robbed. Jerry has provided Curley Bill with information about the stage and its contents, thinking only that it’ll get Wyatt killed. 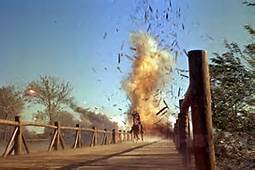 However, much of the outlaw gang is shot down in the attack, and Wyatt, a wounded Doc and Foy make it back to Tombstone. 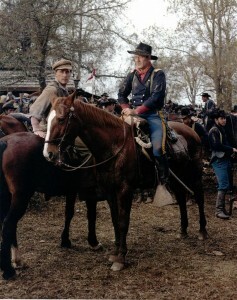 Wyatt and a wounded Doc head back to Tombstone. 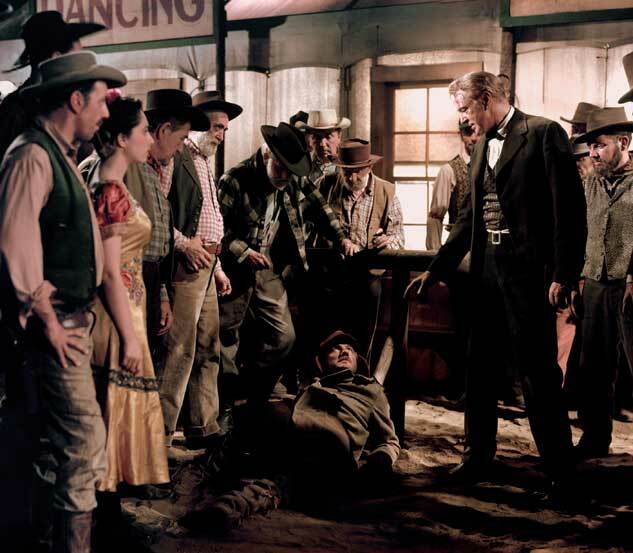 In yet another shootout with the remainder of the gang, the Mexican bartender’s son is shot, and the wounded Doc is pressed back into service as a surgeon by Sarah. 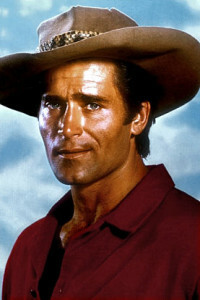 He operates in a saloon and is successful in saving young Pablo. As he steps outside for a breath of air, Doc is gunned down by Curley Bill, who yells to Wyatt that they’ll meet him at the OK Corral. 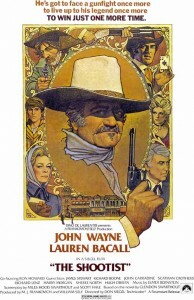 Wyatt heads there alone, and kills them all. 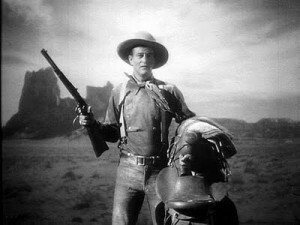 In the end, Jerry shoots down the fleeing Curley Bill in revenge for Doc. 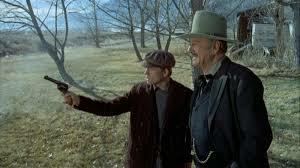 As we all know by now, Doc didn’t die in Tombstone but in Colorado six years later. You can almost hear studio gears grinding: “Yeah, but we have to have somebody on Wyatt’s side die to convey the gravity of the evil he’s facing. And Doc is so doomed and expendable anyway. 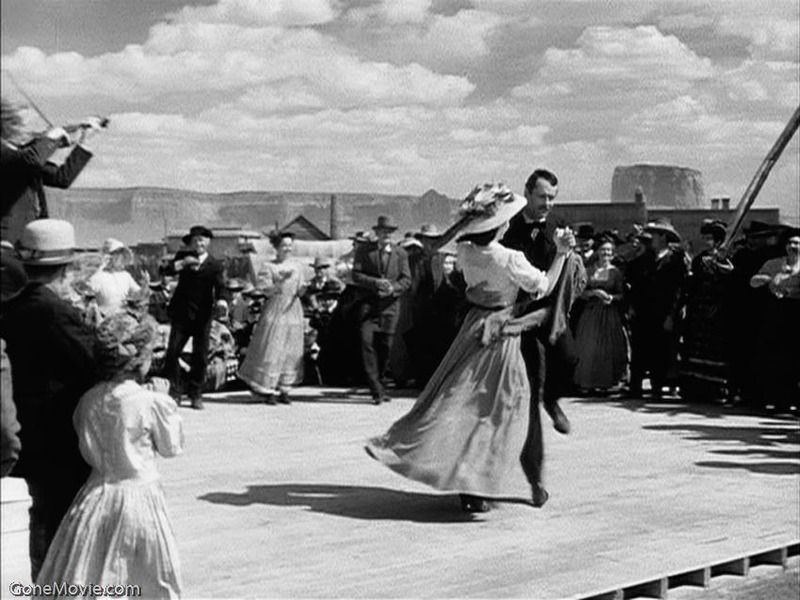 And the situation with the two women is unsalvageable.” Even John Ford will play it that way in seven years, and the dance hall floozy will die then, too, for good measure. Wyatt takes on the bad guys. Scott makes a strong, clean-cut Wyatt Earp, who never makes a play for Sarah, although he seems attracted. Romero is an effective, dark Doc, although one can think of at least five better Docs (Victor Mature, Kirk Douglas, Jason Robards, Dennis Quaid and, perhaps the best, Val Kilmer). Nancy Gates as Sarah is stronger than Cathy Downs would be seven years later as Clementine in practically the same role. 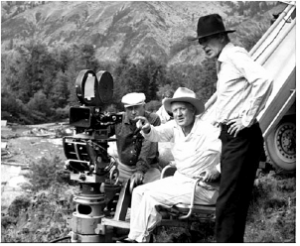 Director Dwan was an experienced front-line director from the days of silent movies, so this was a bit more reputable than most low-budget B westerns of the 1930s. 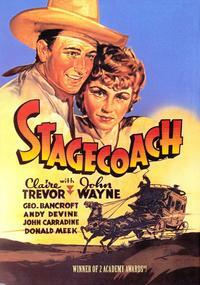 In fact, Dwan was said to have directed 171 westerns from 1911 to 1957, and this may have been his best. 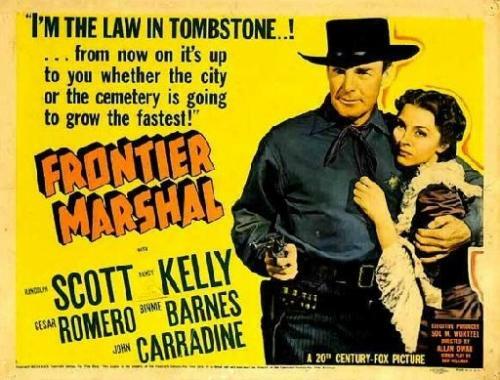 Ward Bond is the local Tombstone marshal who won’t go after the miscreant and is replaced by Wyatt. He had been a bad guy in the 1934 film (now thought to be lost) starring former silent star George O’Brien. Bond would get promoted to playing Morgan Earp in Clementine, his third Wyatt Earp film in 12 years. 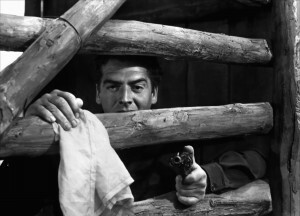 Lon Chaney, Jr. is Pringle, one of Curley Bill’s gang. 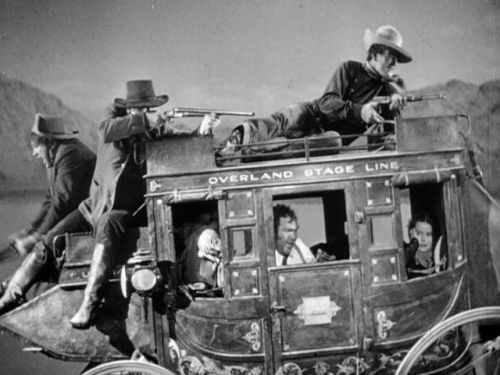 The bad guys seem kind of middle-aged and thick around the waist for current notions of western badmen. But they are certainly rotten. 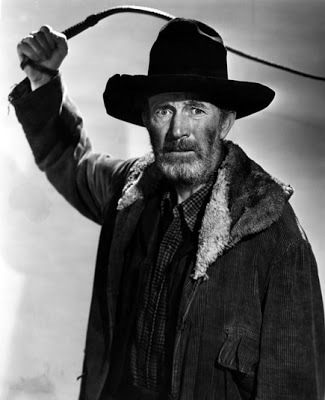 John Carradine is appropriately serpentine as the owner of a rival saloon and business manager of Curley Bill’s outlaw gang, playing this the same year he did his better-known acting as Hatfield in Stagecoach. Charles Stevens, who played the drunken Indian Charlie, repeated the role in John Ford‘s remake, My Darling Clementine. Stevens, who was half Mexican and half Apache, was supposedly the grandson of legendary Apache leader Geronimo. 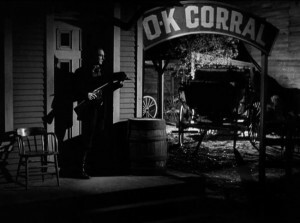 Wyatt goes it alone at the OK Corral, in the dark. 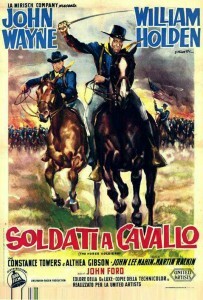 Don’t expect much historical accuracy here, or length, either, at just 71 minutes. 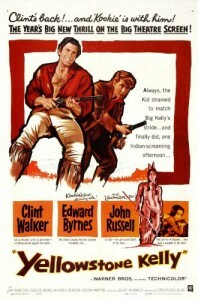 There are no Earp brothers and no Clantons, so it’s a pretty stripped-down version of the story. 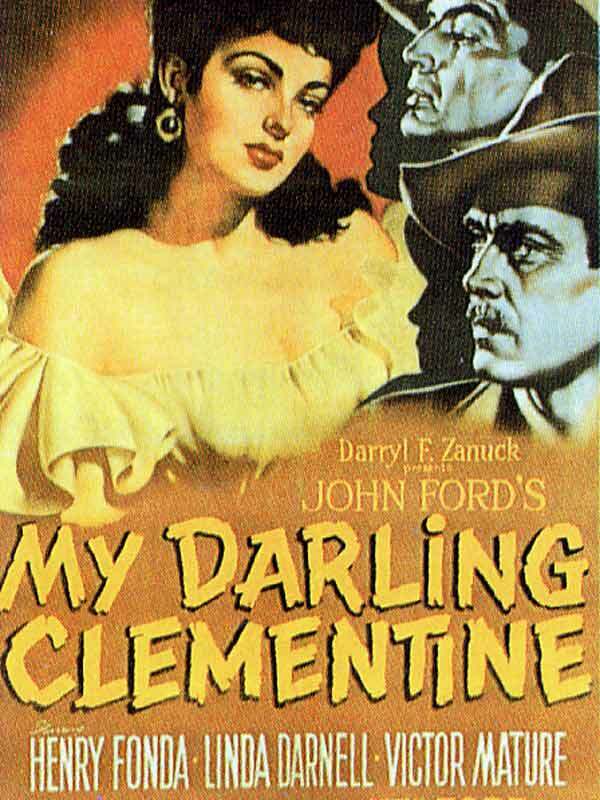 If you’re only going to see one early Earp-Holliday movie, it would be Clementine. But it’s also interesting to compare the two and think about why one is good (for its time) and why one is great (still). And why the great would not exist without the good. 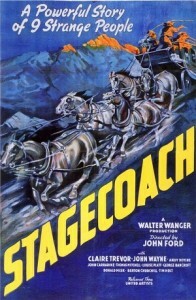 It was Lake’s 1931 book that first brought the Earp myth to public prominence, although Lake’s version deviated substantially from the actual history. 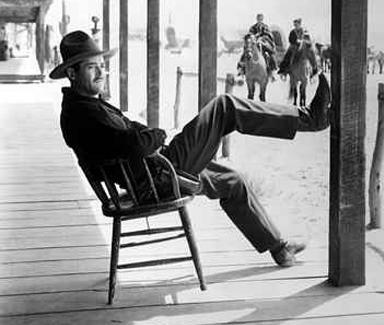 Walter Noble Burns had also published in 1927 a pro-Wyatt, factually-deficient version of events in Tombstone. 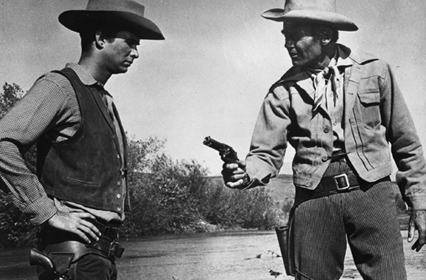 Prior to these books, nobody much was familiar with what has since become the most famous gunfight in western history. 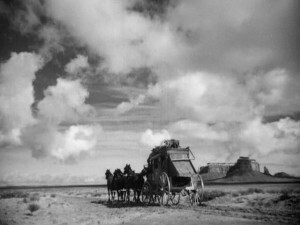 Since the 1934 film is apparently lost, this 1939 version is the earliest available cinematic recounting of the Earp-Tombstone story. 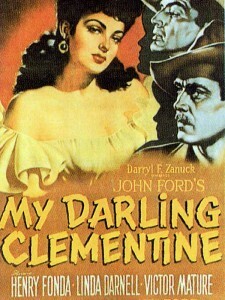 Lake did an updated edition of his book in 1946, on which John Ford’s Clementine was based. This entry was posted in Westerns Worth Watching and tagged Frontier Doctors, Randolph Scott, Town Taming, Wyatt Earp on November 4, 2013 by Nicholas Chennault. 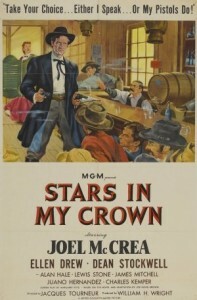 The title is a generic sort for a western featuring a lawman; in fact, a short story with this name was made into the classic High Noon. 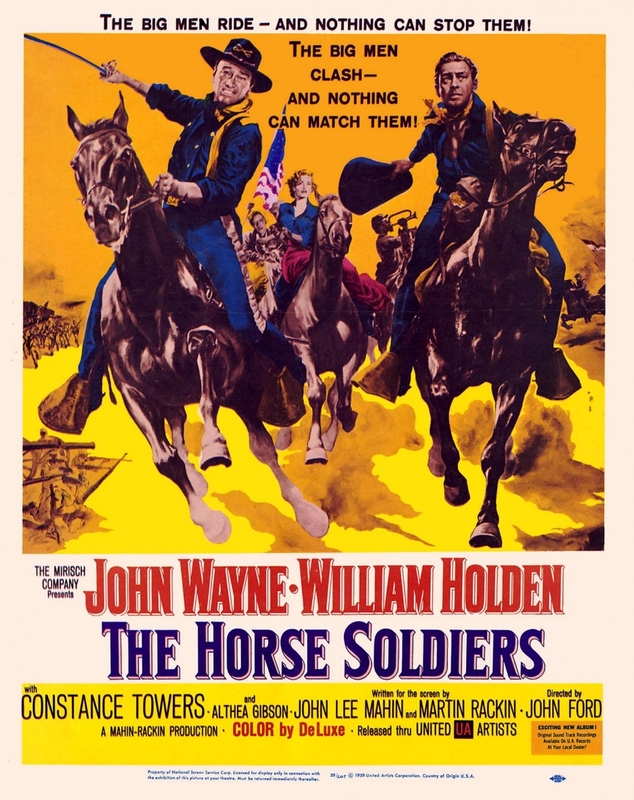 In this case Hickman has come to town to collect the reward on an outlaw he brings in, dead and draped over his pack horse, only to find himself despised by the respectable townspeople. 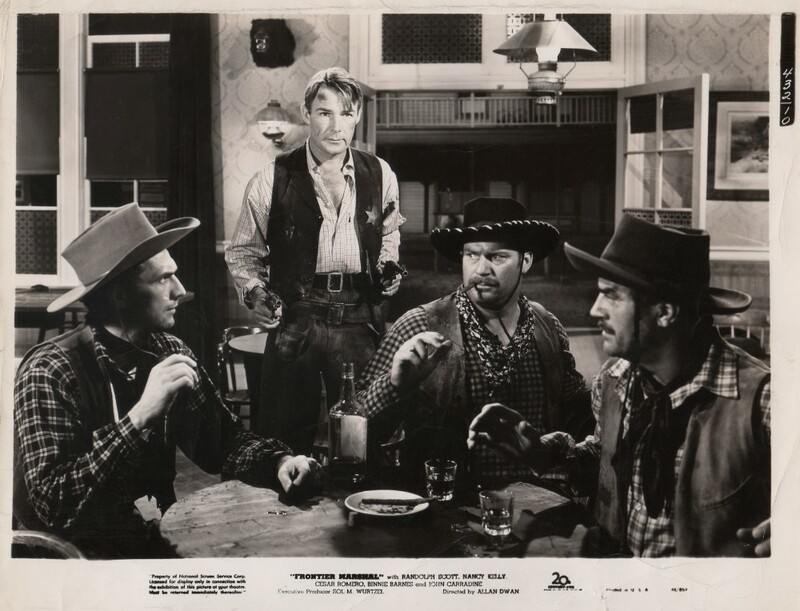 The inexperienced sheriff is just finding his way in a difficult job and tells Hickman he’ll have to wait for his money until he gets confirmation from the party offering the reward. This means Hickman will have to spend at least several days in the hostile town until he can get paid. The town bully and livery stable owner is Bart Bogardus (played by experienced villain Neville Brand, who was said to be the fourth most-decorated American soldier during World War II); Bogardus thinks he’d be a better sheriff than Owens. Hickman bails Owens out of a difficult situation with Bogardus and unintentionally becomes the young sheriff’s mentor. 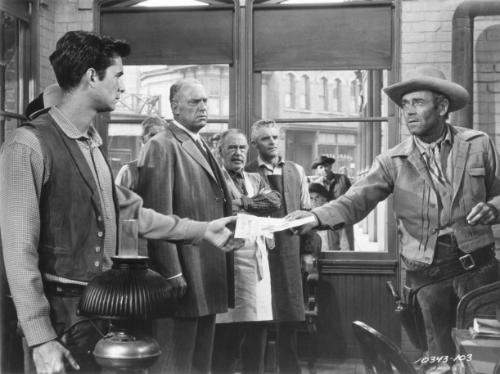 Hickman (Henry Fonda) submits a claim to the green sheriff (Anthony Perkins). Meanwhile, the hotel won’t rent Hickman a room, and he finds accommodations with young widow Nona Mayfield (Betsy Palmer) and her half-Indian son. 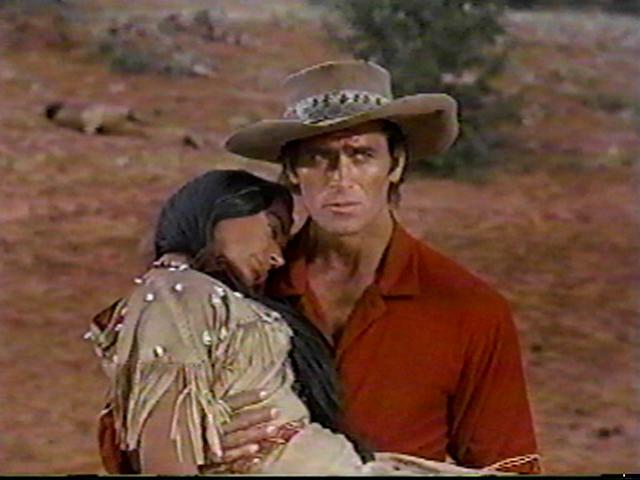 In addition to making a place for himself as sheriff, Owens is also trying to get Millie Parker (Mary Webster) to marry him. But she’s the daughter of the previous (and now dead) sheriff, and she won’t marry him unless he takes off the tin star. 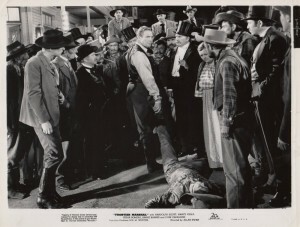 The beloved town doctor (John McIntire) is killed, and Owens loses control of his posse to Bogardus. 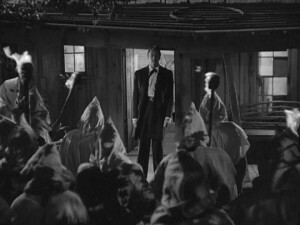 It becomes a mob. Meanwhile, Hickman and Owens find and capture the killers, but may not be able to hold them against Bogardus and the mob. As Hickman and Owens become better friends, Hickman reveals that he had been a lawman in Kansas when his own family needed help, and the townspeople he thought were his friends wouldn’t provide the assistance he needed. 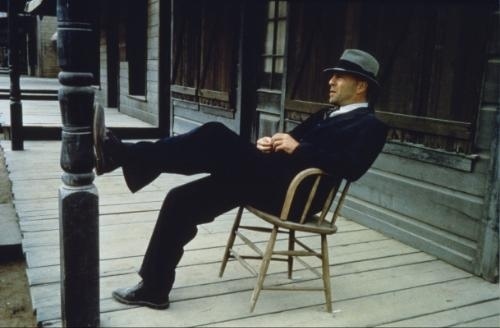 He now has few illusions about the relationships between townspeople and those they hire to protect them, and he thinks they ask too much while providing too little in return. Hickman gives the youngster a few tips. 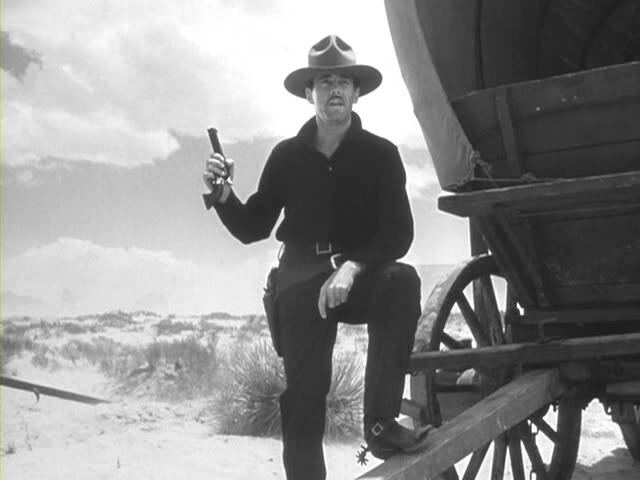 In the final confrontation between Owens and Bogardus, Hickman puts on the star again in support of Owens, but Owens, armed with what he’s learned from Hickman, is the one who has to deal with the situation. 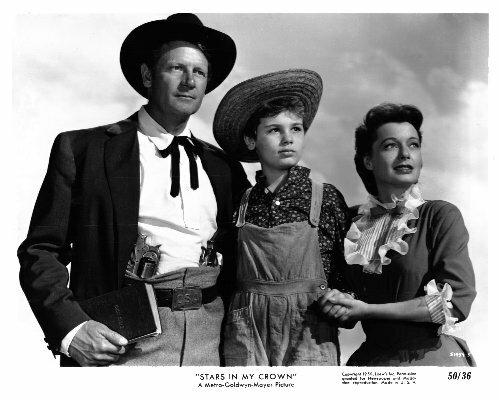 And at the end Hickman takes off with the young widow and her son to find another town that wants somebody to wear a star. 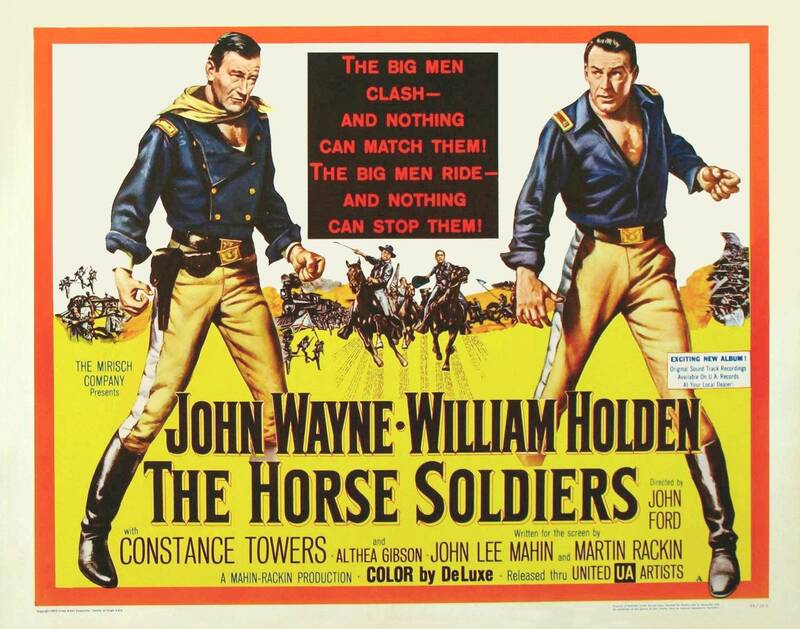 This is one of a number of westerns from the 1950s that explored social issues, especially one of those concerned with a sense of community and how much townspeople owe to those who enforce the law against the lawless. (Compare it with High Noon, Man With the Gun, At Gunpoint, 3:10 to Yuma and Rio Bravo, for example.) 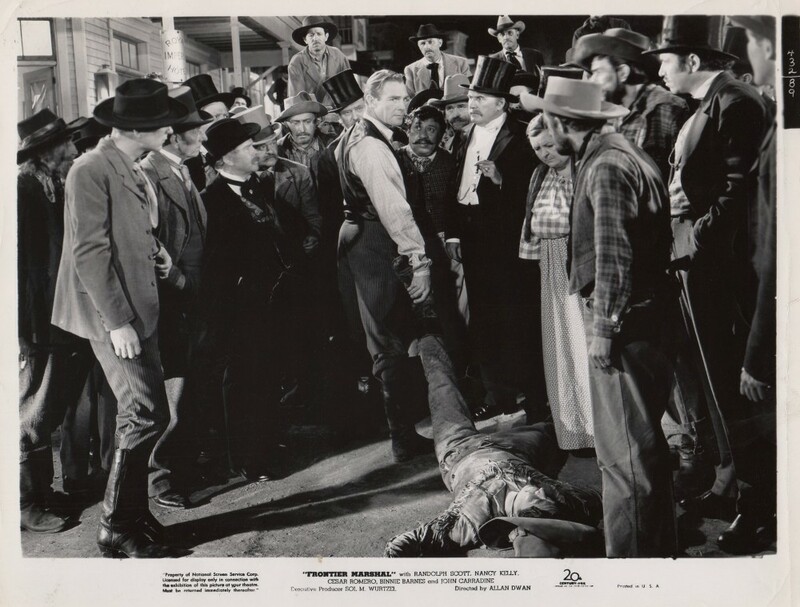 The townspeople usually come off badly in such situations, so much so that it has become a cliché (see Support Your Local Sheriff, for example, which exploits that cliche to comic effect). 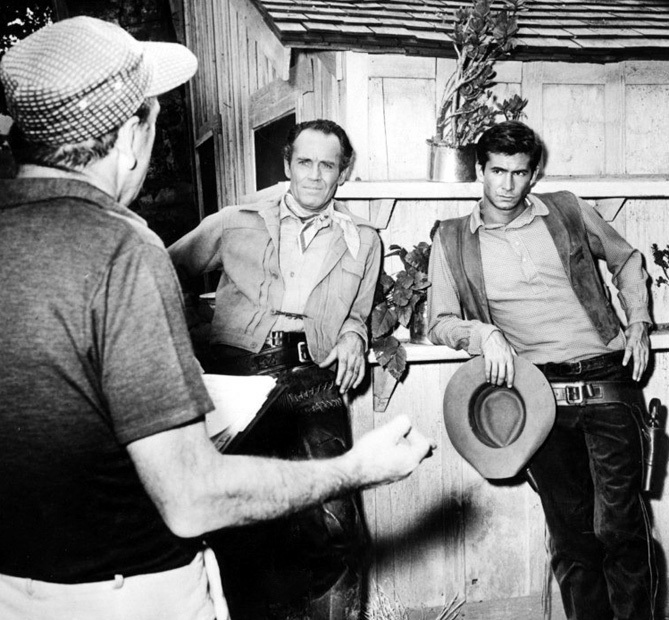 The cast here is appealing, with a good relationship between American everyman Fonda and the young Tony Perkins. Palmer is attractive and straightforward as Fonda’s romantic interest. 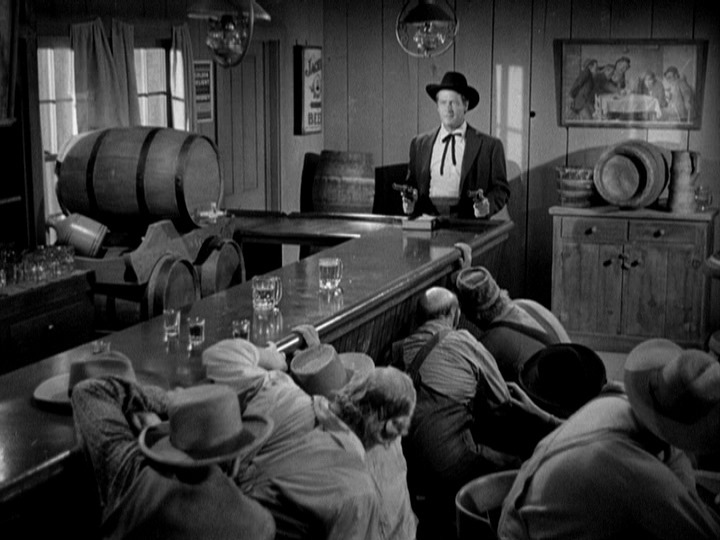 John McIntire is his usual avuncular self as the town doctor, but he’s basically the same character as Walter Brennan in At Gunpoint. 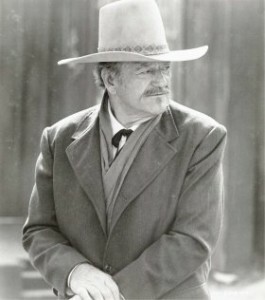 McIntire was a Mann favorite, and shows up more colorfully in Winchester ’73 and The Far Country, too. Villains Brand and Van Cleef do exactly what they’re supposed to do. 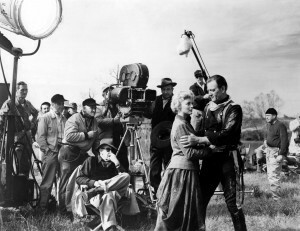 Anthony Mann directs Fonda and Perkins in a scene. 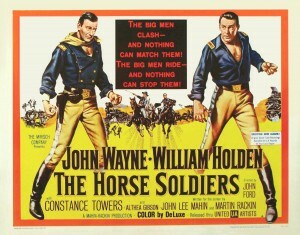 This is the better one of the two good westerns directed by Anthony Mann that don’t feature James Stewart. 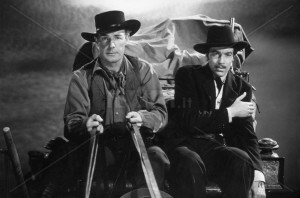 (The other is Man of the West with Gary Cooper.) Mann was more interested in psychological and social issues than some directors of westerns in the 1950s, but he knew what he was doing. This is in black and white, at a time when most movies with ambitions (even westerns) were in color. But it doesn’t suffer for all of that. 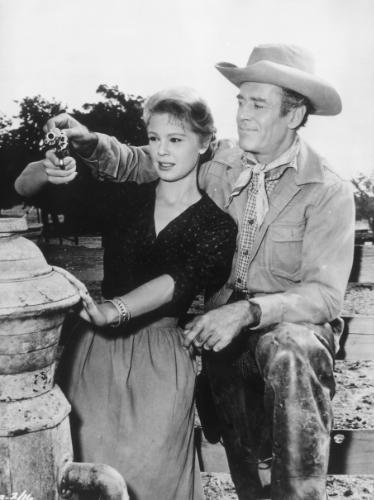 For another movie featuring Fonda as an experienced ex-lawman helping a younger and greener peace officer, see Warlock, made a couple of years later. This entry was posted in 55 Greatest Westerns and tagged Anthony Mann, Bounty Hunters, Frontier Doctors, Henry Fonda, Lawman and Community, Town Taming on September 13, 2013 by Nicholas Chennault.